Alter The Press! : The Killers Guitarist Dave Keuning: "I Am Sick Of This. I'm Done. 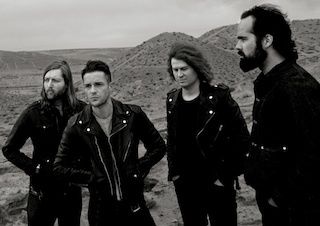 The End Is In Sight"
The Killers Guitarist Dave Keuning: "I Am Sick Of This. I'm Done. The End Is In Sight"
The Killers guitarist Dave Keuning has revealed in a new interview with NME that he is "sick" of touring with the band. You can read what Keunin had to say about life on the road from the article below. "I am sick of this. I'm done. The end is in sight. Some people might go, 'Why are you complaining?' But you haven't done what I have done, so you can't relate. We just toured a shitload."